Does Nordic Ware apply Teflon® type non-stick and low friction coatings? Yes, we do. Teflon® is a registered trade name and brand name owned by Chemours, formerly DuPont. Teflon® refers to a grade of fluoropolymer. Nordic Ware also applies many other fluoropolymer coatings from different coatings manufacturers under different tradenames. These coatings are available in both wet and powder type coatings. All of our coatings are sourced from US manufacturers. Why are there so many different coatings formulations to choose from? Each coating is formulated to provide unique performance properties specific to the needs of the end use. Coating properties can be formulated not only to provide release characteristics, but also for alternate needs such as corrosion resistance, insulation from electrical conduction, or to provide a tactile grip. If you can think of a need, chances are there’s a coating that has been or can be formulated to fit the situation. Are the standard bakeware and cookware coatings safe to be applied to my industrial food contact applications? The safe food contact coatings used for both households and the industrial food processing applications are formulated from a listing of acceptable food contact ingredients managed by the FDA. The FDA does not “approve” the food contact coatings; rather they manage the ingredients used. Food contact coatings are referred to a being FDA Compliant, not FDA approved. We can supply you with letters from our coatings suppliers certifying that these food contact coatings are FDA Compliant for your food contact applications. What level of cleaning and surface prep does Nordic Ware perform prior to applying the coatings to parts? 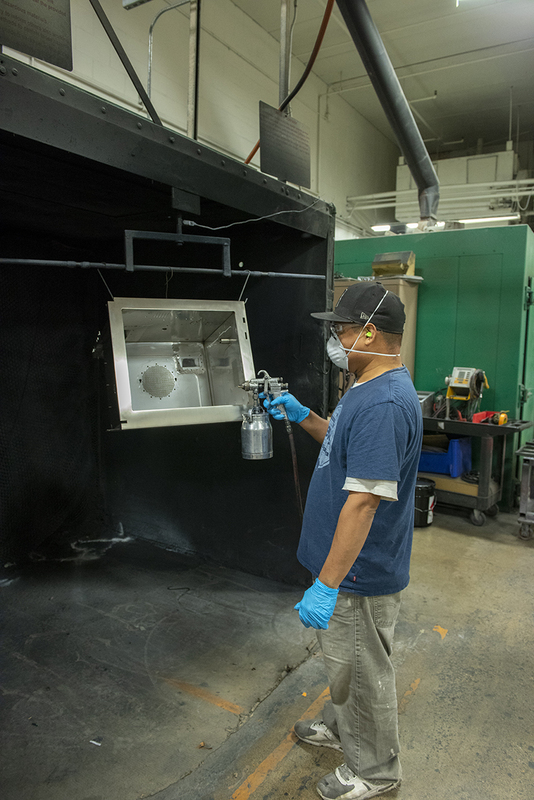 For coatings to properly adhere to a substrate, they must be prepped in a very thoughtful, careful manner. 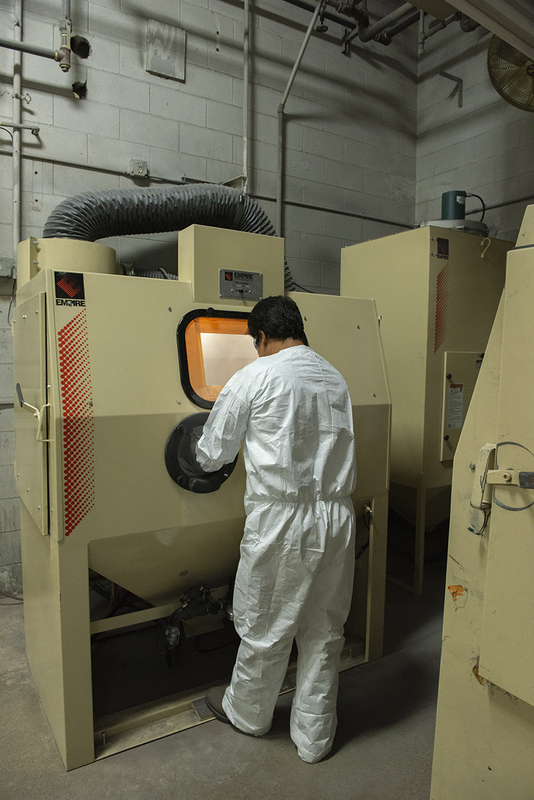 We’ve developed proprietary processes to remove all types of manufacturing oil, grease, contaminates, and if needed, the former coatings, back down to the original substrate. We then condition the surface of the substrate to optimize adhesion and durability of the coating once it is cured. Our entire process ensures that the end result can withstand the rigors it is subjected to during daily use. What substrates does Nordic Ware apply coatings to? Many, including all forms of aluminum, steel, stainless steel, copper, brass, bronze, plastic and other exotic surfaces. If you’re curious about a particular material, don’t hesitate to ask; chances are we can coat it. Can Nordic Ware anodize, chemical plate, or apply zinc or manganese phosphate to parts prior to applying the coatings? No, we do not have anodizing or plating facilities on premise. We have chosen to focus our efforts on what we do best, which is the surface preparation and application of coatings.